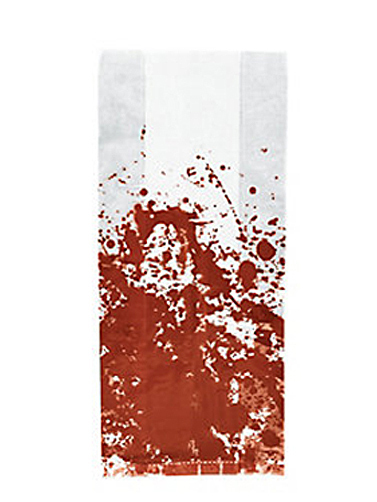 Gruesome bloody treat bags for your gifting pleasure. Perfect for Halloween, Zombie themes and more. These clear plastic cellophane bags have a blood splattered look. Bloody Treat bags measure 5" x 11 1/2". 12 pc.